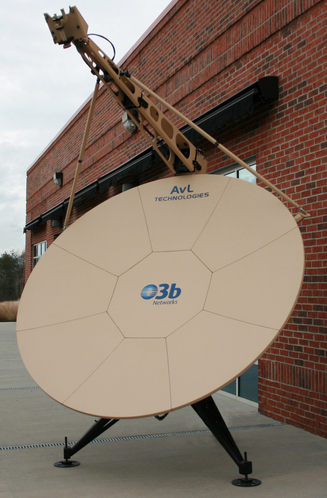 AvL's 2.4m O3b MEO tracking Ka-Band antennas have been fully certified to operate in tandem pairs with make-before-break communications and can be set-up and on-the-air within 120 minutes. The antennas offer the power of O3b's high throughput, low latency connectivity in a compact, easily transportable and rapidly deployable design. Click here for data sheet: AvL/O3b Model 2470 2.4m Motorized FlyAway Antenna.